Looking for ingenious ways to use all those wine corks lying around? Looking for ways to liven up your home decor with simple wine or champagne corks but haven’t the foggiest on where to start? 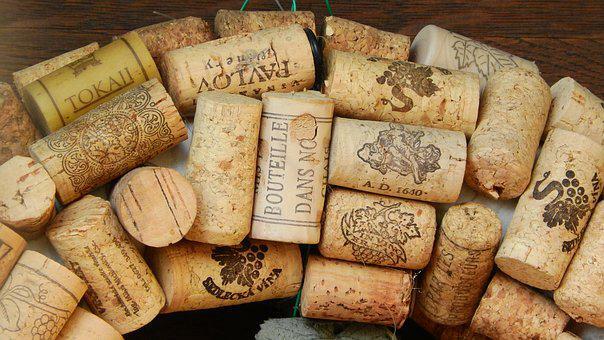 Here, we have compiled a list of 10 things you can do with corks. These ideas are relatively easy to execute and can be a fun family project. Gather a headset, spray-paint corks, adhesive and some pins. Wash out the can and paint inside and out of each can. Cut corks in halves and then wrap them around the exterior using glue. Hold in place then proceed to fill each vase with flowers or use them to store other items. This is actually quite simple to attain. All you’ll need are wine corks and a few keychain rings. Simply screw your keychain ring into a cork and that’s about it. If you wish to personalize your keychain, you can elect to draw them. With superglue and a great deal of corks, start by gluing 3 corks together and continue gluing more corks until you have a round shape. Once you’ve attained your desired size, let it sit and dry. You are going to want different cork shapes and sizes, a good crafts knife, and your cheese knives. First off, remove the handles from your own cheese knives. Next, use a crafts knife to make a small opening to be utilized by every knife shape. Next, wedge the knives into this slot and that’s it. You’ll have a special and gorgeous cheese knife set and your guests will enjoy them also. You’ll require a knife, corks, paper cutter, a pen, and card stock. Cut card stock to size and then hand write all guest’s names on each card. Slice a cork in half lengthwise, and then cut a small opening down the middle. Put a card into the slot and place these card holders round your table/s. All you want are a great deal of corks, a mirror, knife, and hot glue. Take the mirror and remove the glass. Apply dye on the exterior of your framework uising your preferred color. Insert some cardboard in the empty space and then cover the entire area with half-cut corks. If you want a better and one of a kind design, stick these half-cut corks into a zigzag pattern and cut off any excess corks. Leave to dry.